In this day and age, most men should have a reliable set of tools on hand, especially screwdrivers, wrenches, and hammers. 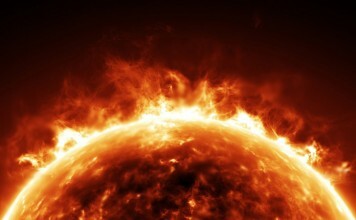 You may have noticed that we squeezed the word ‘reliable’ in there and there’s a good reason we did that. The last thing you want is to have your tools break in your hand or even worse, inside whatever it is that you intended to fix in the first place. The tearing and breaking of lesser quality tools has always been a problem, especially with screwdrivers. In case you weren’t aware already, not all screwdrivers are the same, despite serving the same purpose or being built using the same materials. When it comes to screwdriver sets, you want nothing but the very best the market has to offer, as they will most likely last you for years. Over the next few minutes, we’ll take a look at the ten best screwdriver sets money can buy, screwdrivers that are so well-made that you’ll be able to pass on to your grandchildren. High-strength is what you want from a good screwdriver and this is precisely what TEKTON 2742 offers. These strong screwdrivers are made of heat treated chrome vanadium steel with a corrosion-resistant chrome plated finish for greater resistance. They have magnetized tips that prevent the dropping of fasteners while you work and are designed to meet ANSI standards, even exceeding them to some extent. This magnetic 4-piece screwdriver set comes with a smooth comfordome handle that makes it comfortable to use over long periods of time, a chrome-plated shaft that helps prevent corrosion, and nickel-chrome precision-forged and polished blades. It also has a powerful magnet built into its shank to hold screws and interchangeable bits safely in place. Due to its compact design, this clever screwdriver set is very easy to store. 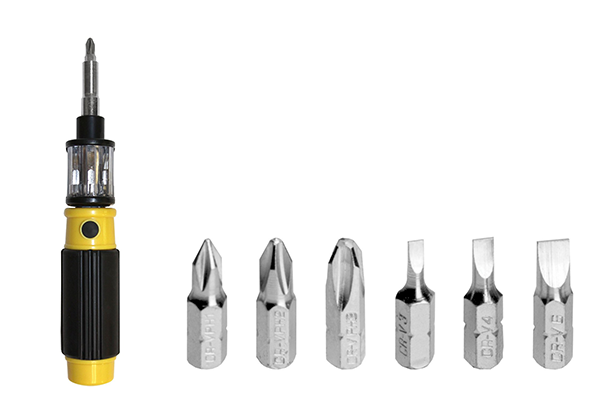 The All-in-One Screwdriver set from Bit 360 includes 6 common screwdriver bits that you can load with ease just by twisting its handle whenever you need. This ensures that you won’t lose or misplace any heads or bits, a common issue with traditional screwdriver sets. Also, despite its compact size, this particular screwdriver set is strongly built to withstand all types of wear and tear. 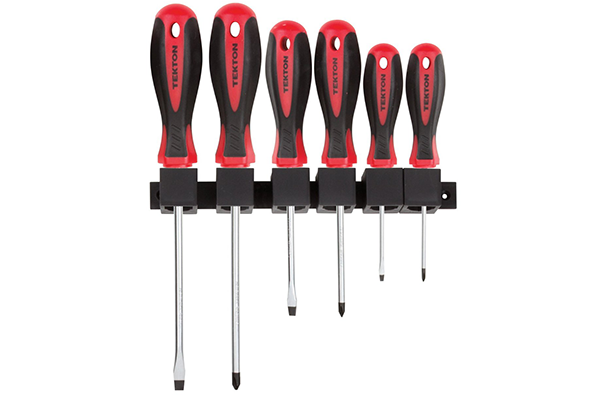 This 8-piece screwdriver set is ideal for pretty much any household or workshop applications. Stored in a reusable plastic container, the set can easily be stored or moved around whenever needed. It includes a cabinet-tip, three keystone-tip, and four Philips-tip screwdrivers which even though they aren’t magnetic, are good enough to compensate. We should also point out that Klein made these screwdrivers with electricians in mind, meaning that they’re perfect for any electric-related work. 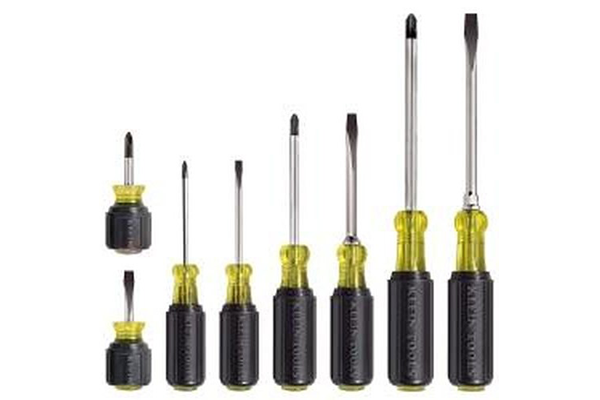 It wouldn’t be fair to focus all our attention of standard screwdrivers without mentioning some of the best precision screwdriver sets out there. 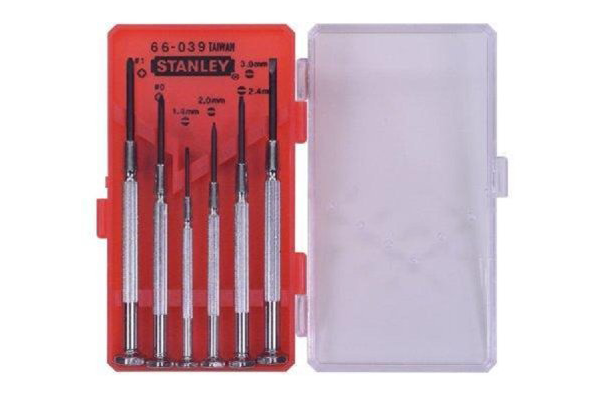 The 6-piece jewelers precision from Stanley features strong and practical screwdrivers designed to resist corrosion and tear. These precision screwdrivers have swivel-head handles for better handling and hardened steel blades that ensure they won’t break easily. Made from high-strength, heat treated chrome vanadium steel, it isn’t likely that you’ll be able to break these screwdrivers even if you wanted to. These screwdrivers have a corrosion-resistant chrome plated finish that ensures their overall resistance and comfortable handles with non-slip rubber grips. Thanks to their reinforced swivel end cap, you will be able to apply constant finger pressure while driving while their magnetized tips prevent the falling of any fasteners while you work. 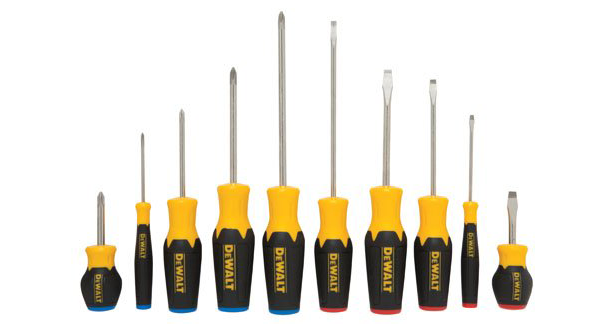 This 10-piece screwdriver set from Dewalt contains some of the strongest screwdrivers out there. Their slip-resistant rubber grip increases user comfort quite a bit while their magnetic tip holds screws safely in place at all times. These tips are precision machined and sand blasted to ensure they have a tight grip on the screws while resisting slip-outs. 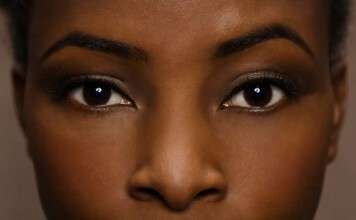 They also have lacquer coated bar shafts that make them rust-resistant. This isn’t as much a screwdriver set as it is an entire toolset in its own right. It includes tweeter tools, extra flat heads, and cross hair screwdrivers, all with magnetized tips. 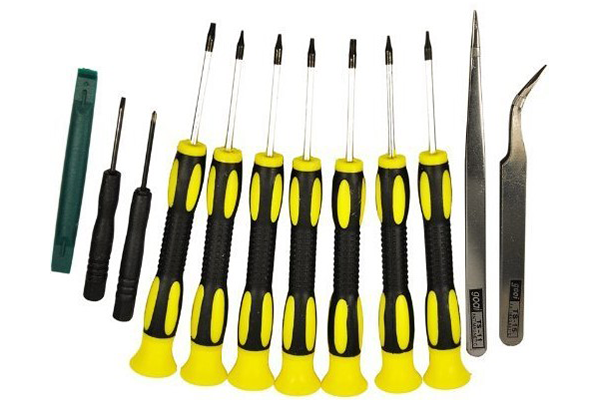 Durable and light, the screwdrivers it contains can be used to repair almost any type of electronic device. It also features a safe plastic plying tool and a flat head precision screwdriver for smaller devices. 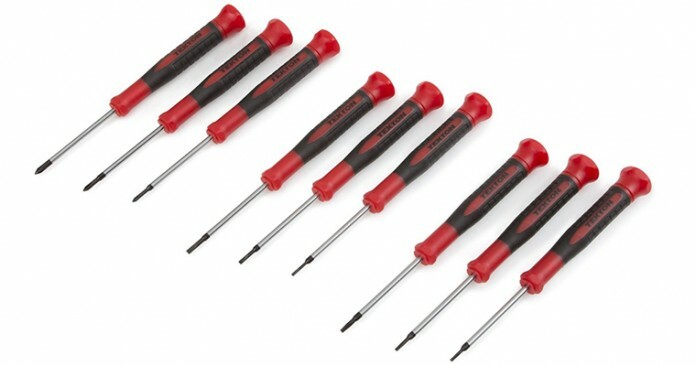 This particular screwdriver set contains 4 strong screwdrivers made from high allow chrome-vanadium-molybdenum tool steel that isn’t likely to rust or show any signs of damage from regular use. These screwdrivers also have a rotating cap for precise turning and fingertip control, a cap mounted on a very sturdy shaft fitted into a tapered handle made from high-quality plastic. 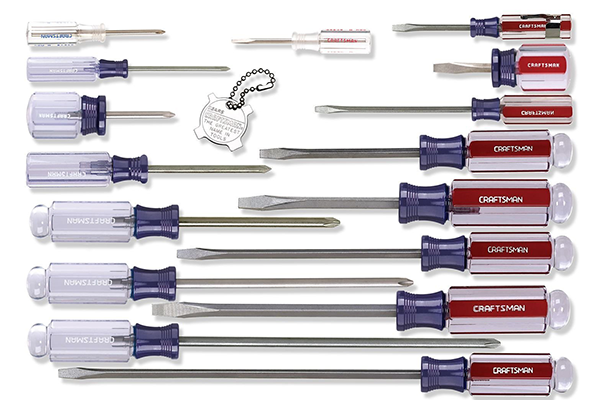 You aren’t likely to find a more complete set of screwdrivers than Craftman’s 17-piece set. These high-quality screwdrivers use Phillips blade tips designed to provide tight tolerance and excellent screw holding at the same time. 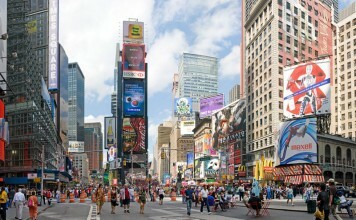 This is due to their heat-treated and slotted blade tips that are manufactured to withstand almost any type of abuse. The set contains 9 slotted and 7 Phillips screwdrivers of all sizes, specifically designed to meet the needs of any electrician.